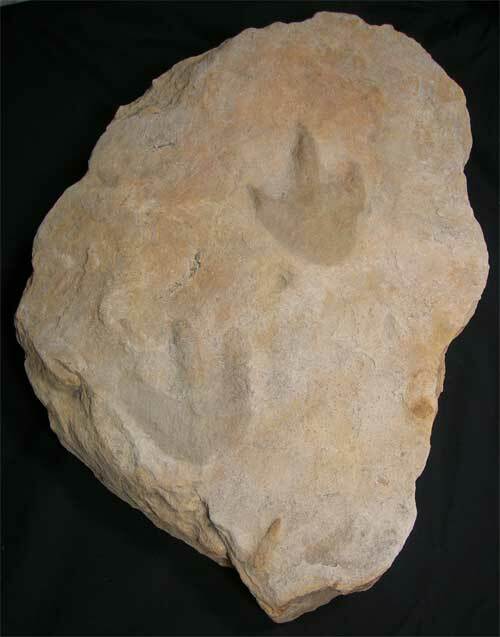 An incredibly rare set of English Dinosaur footprints from a very rare locality. 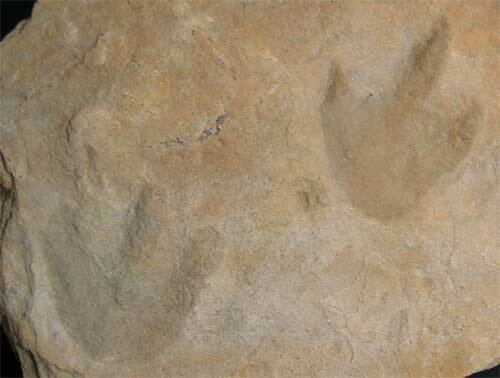 There are two very clear prints off a small bi-pedal Theropod dinosaur captured in a moment of time some 175 million years ago. 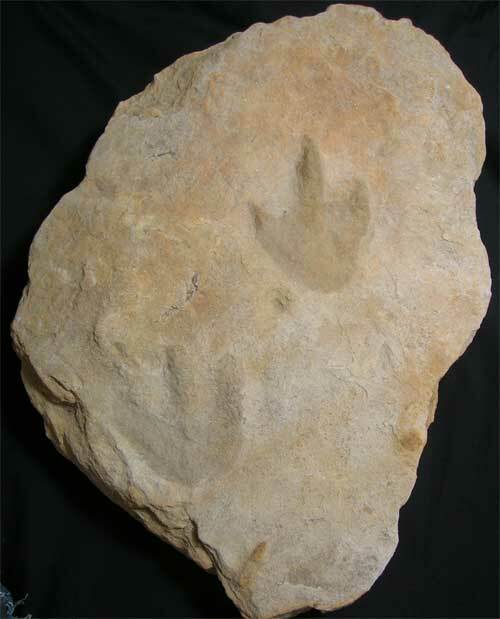 This fantastic display fossil is not only unique, it tells an incredible story of how a dinosaur walking around some lagoonal mud flats around a sub-tropical sea come to leave its footprints for us to marvel over millions of years later. 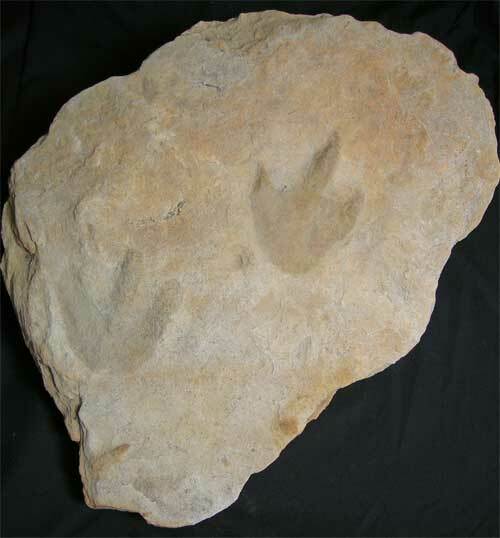 Any dinosaur material from the UK is very sought after by collectors worldwide. A substantial piece of stone for display purposes.